Hampton TW12 Domestic & Commercial Window Cleaners | RDA Cleaning & Maintenance Ltd.
We are an expert window cleaning company in Hampton TW12 and offer quality services for both residential and commercial customers. Out Insured Professionals do their very best in providing you with the highest quality performance at an affordable price. RDA Cleaning & Maintenance Ltd.’s purpose is to reach as far as possible and to provide best window cleaning services for the entire London. With years of experience behind its back, the window cleaning company offers will not only leave you with a sparkly clean view but our benefits will also make sure to leave you satisfied with the overall experience. So why don’t you give us a call at 020 3404 1646 or use the online booking form? So that we can be on our way to do the job we love. We are able to work on bank holidays and weekends. Why Are Our Window Cleaners Hampton TW12 So Highly Rated? 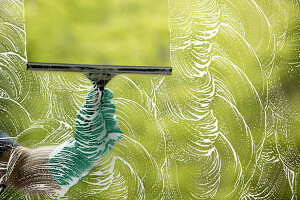 Make A Quick Reservation For A First-Rate Window Cleaning Hampton TW12 NOW! Hurry up, guys, and make a reservation for our top-notched and innovative window cleaning services in Hampton TW12. Get a free quote today or ask for more additional information. Use this phone number 020 3404 1646 or the online booking form in our website. We are waiting for your call and you should using the ladder. It`s dangerous and pointless, when there are so enthusiastic and motivated window cleaners that could help you out at fraction of the cost.